So how do you go about changing the key features of two of our most iconic models. The short answer is very carefully. 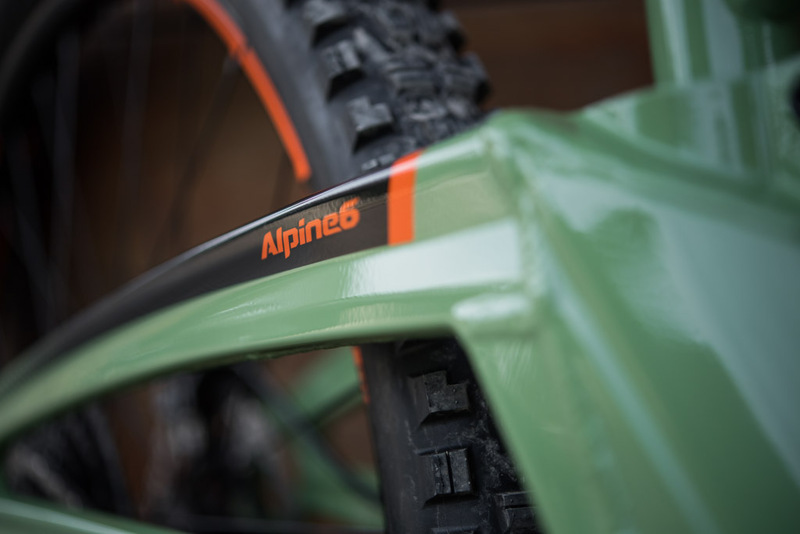 Over the development and testing period the Orange Five and Alpine 6 have undergone a radical evolution. We taken both of these benchmark models and reset the standards for them. They're still a "Five' and an 'Alpine' but maybe not as you knew them. The direct feel of our single pivot chassis is better than ever in both these new models. 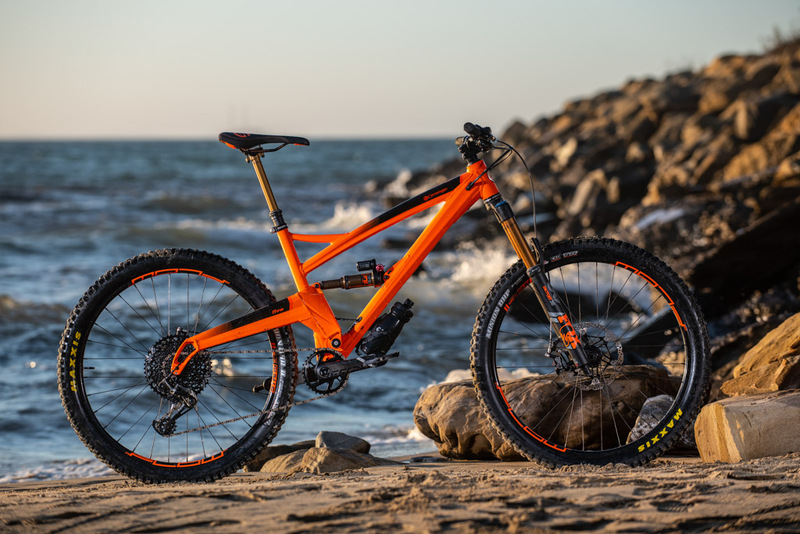 The sesation of pushing through turns to boost out faster is on eof the key factors of the Orange ride, these refinements are design to amplify that feeling to make these the best riding versions of these models to date, by far. 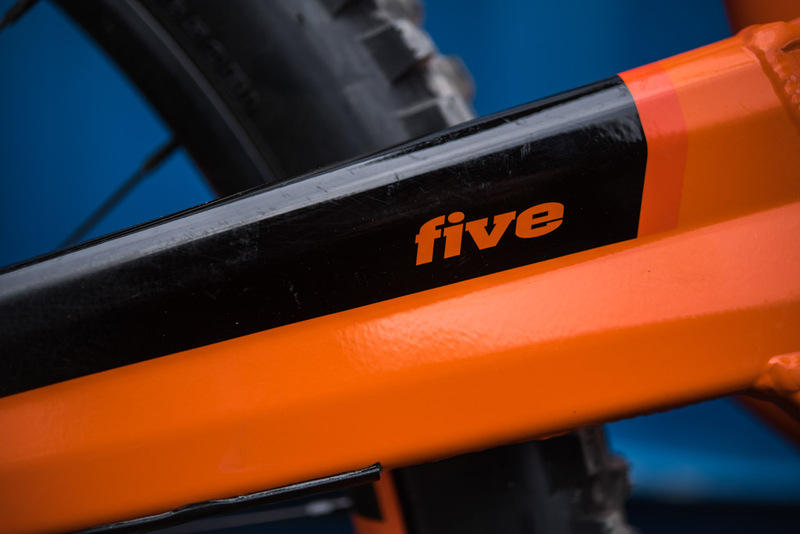 You cannot mess around with a bike with the reputation of the Five. It’s the original utility performance bike. In 20 years, its basic silhouette hasn’t really changed; you’d never mistake it for another bike. It’s the bike you ride at your local ‘spot’ on the weekend with your mates, it’s the bike you get out for a quick evening lap, it’s the bike you ride all through winter – day or night, the bike you race enduro on, you do your first downhill race on, and the one you can take on your annual trip to the Alps. It’s the quiver killer, and it’s still a Five. The new Five has had a sizing re-work where we’ve dropped the Extra Small size from the line-up and reduced the size of the small frame while adding a new XXL size to extend the Five frame range for those individuals looking for the extra reach, we’ve also shaved an inch off the seat tube of the XL bike to allow people to size up if they wish, or just offer more clearance for a longer dropper. 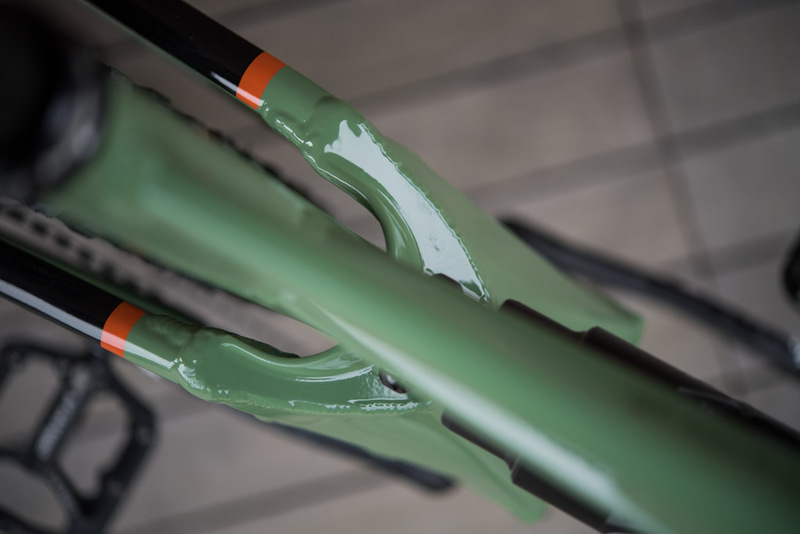 Frame sizing is no longer based purely the height of the seat tube and we understand that a lot of our customers factor in many more variables when choosing their frame. Five – Where's the more? 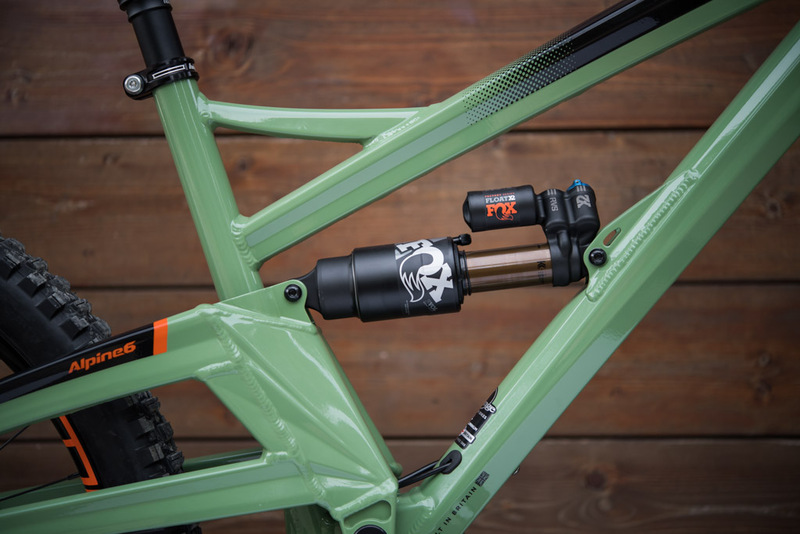 More Travel – The rear travel has also been increased from 140mm up to 145mm and is now actuated by a metric shock. An incredible amount of time has been put into utilizing every last millimetre inside the front triangle to accommodate the new shock and vastly improve the frame’s shock curve, making it more supple in the initial part of the stroke but providing more support deeper into the travel for a truly bottomless feel. We've worked hard with our shock suppliers to further improve this too. More Stability – The bike is now 1° slacker at the head angle to help take on the more challenging conditions that a bike like this will face. 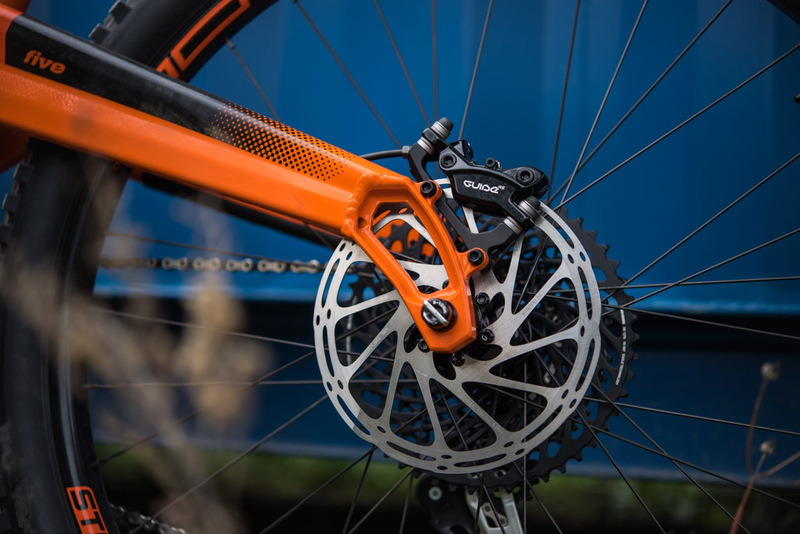 In addition to the headangle the chain stays have grown by 6.5mm, the extra length is noticeable at speed and provides more stability but doesn’t take anything away from the playful feel of the Five. 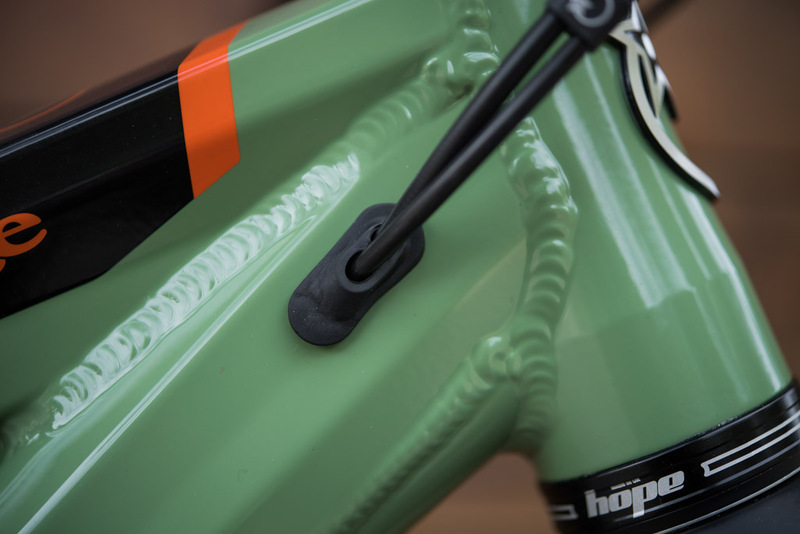 The other benefit is the extra length also allows the rider to be more central over the bike during climbing and prevents unwanted front wheel lift. More Pivot Width – We’ve increased the width of the pivot, which has helped increase lateral rigidity and drastically improved tyre clearance, revised all CNC frame parts including stealing mm’s out of the upper and lower shock mounts to accommodate the new metric shock (From 190mm to 210mm eye to eye) and improvements have even happened in places you wouldn’t even know we’ve been working, the internal lattice inside the front of the swing arm structure has been revised to be lighter and improve the swing arms performance during heat treating and last but not least the frame now has bottle bosses, it’s quite a personal decision whether people want to run a bottle or not but they now have the option. 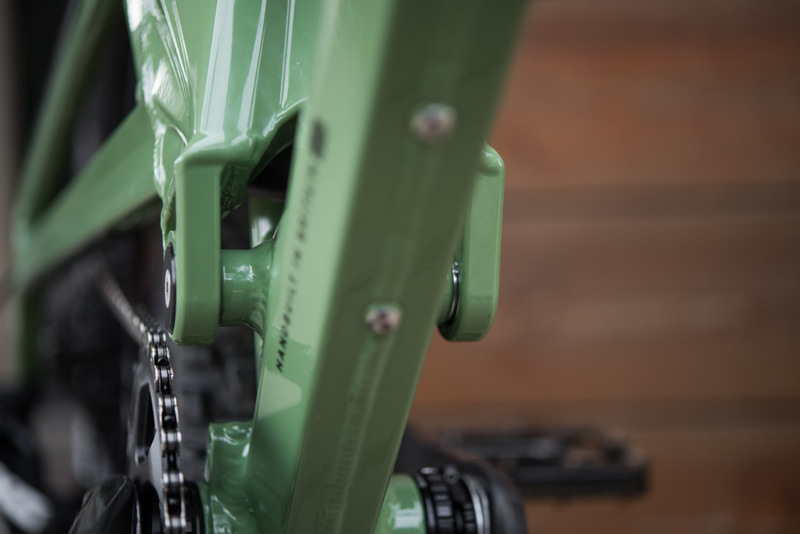 More Reach – Reach has increased by 10mm giving the rider more space, composure and stability at speed. 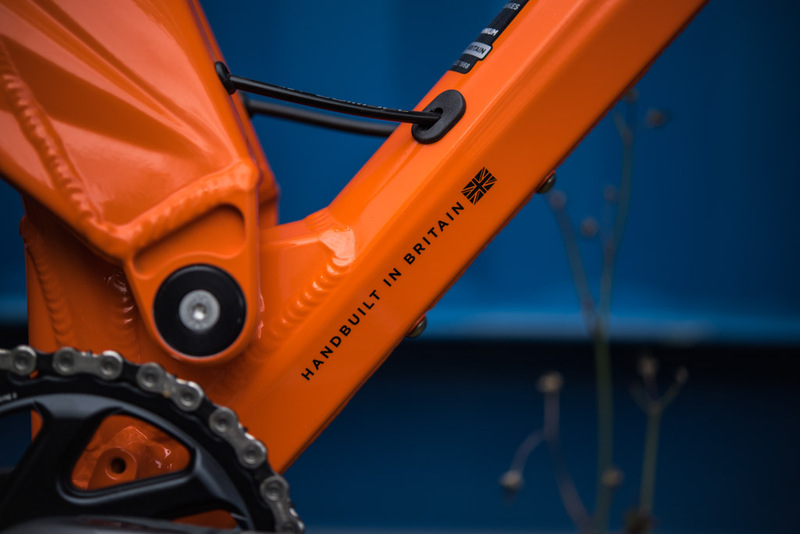 More BB Drop – We’ve reduced the bottom bracket height from the axles by 5mm, helping you rail corners harder, it also gives more of an in the bike type of feeling having your centre of gravity slightly lower. 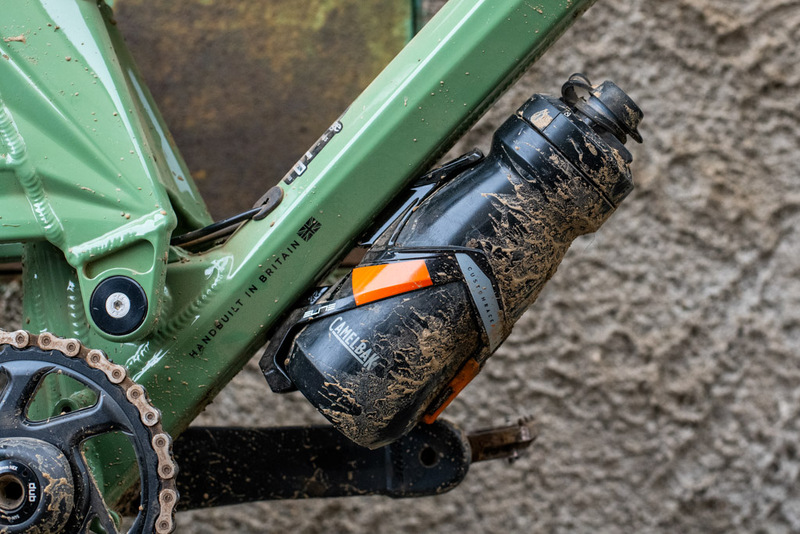 More Cockpit adjustment – We’ve reduced the length of the head tube on the L, XL and XXL as a result of rider feedback. This results in 18.4mm reduction in stack height (Size Large) over last years bike. The bikes silhouette is iconic and so is its ride. 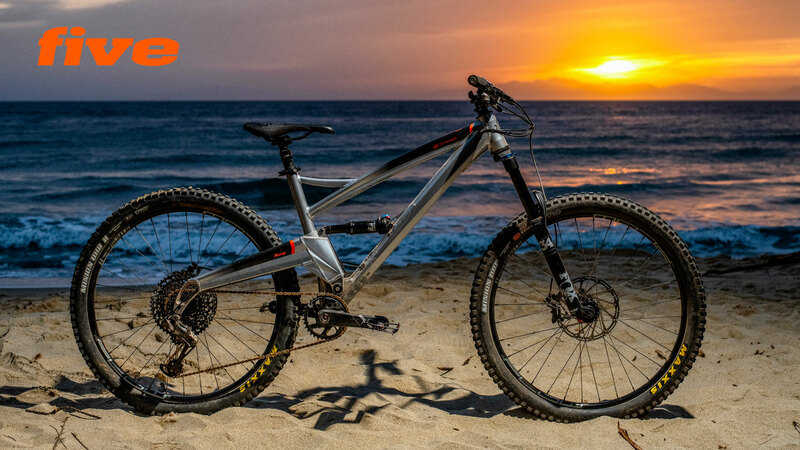 The Door from Orange Mountain Bikes on Vimeo. 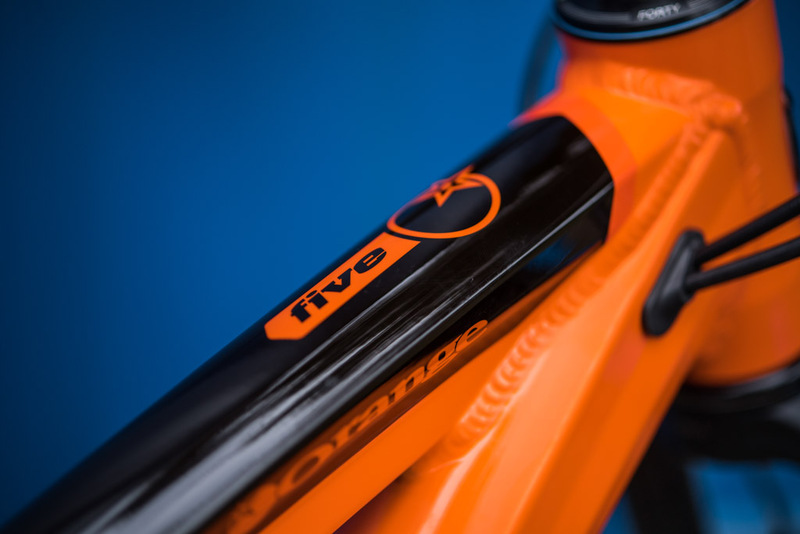 Much like the Five the Alpine has had a sizing re work, we’ve dropped the XS and made the small smaller, added in a XXL for those on the taller side of things with a 505mm reach and shaved an inch off the seat tube on the XL to make it a 19”. 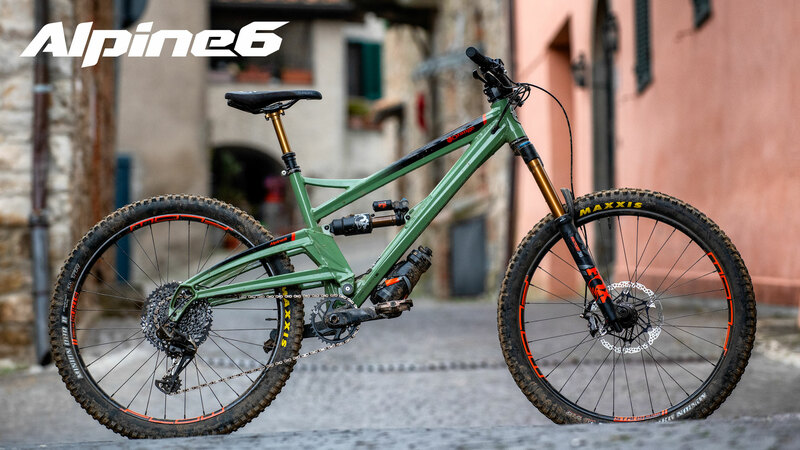 As with the Five, the Alpine has seen considerable refinement: Revisions have been made to all the CNC parts; upper and lower shock mounts have been totally revised to allow for the new metric shock (216mm to 230mm). The dropouts have been improved and again internal work has been carried out within the front of the swing arm to improve strength. The cable routing has also been addressed and is now much cleaner than the previous model. Alpine 6 – Where's the more? 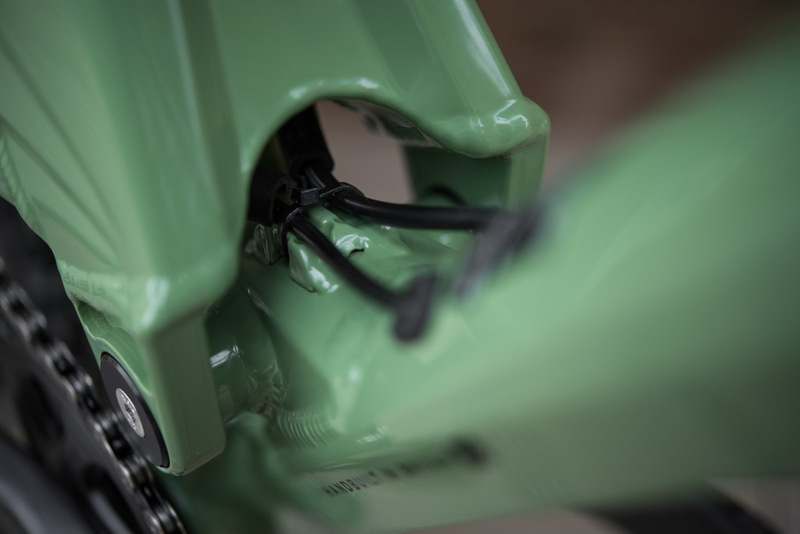 More Stability – The bike now has a 64° head angle, slackening it out by 0.5 of a degree. 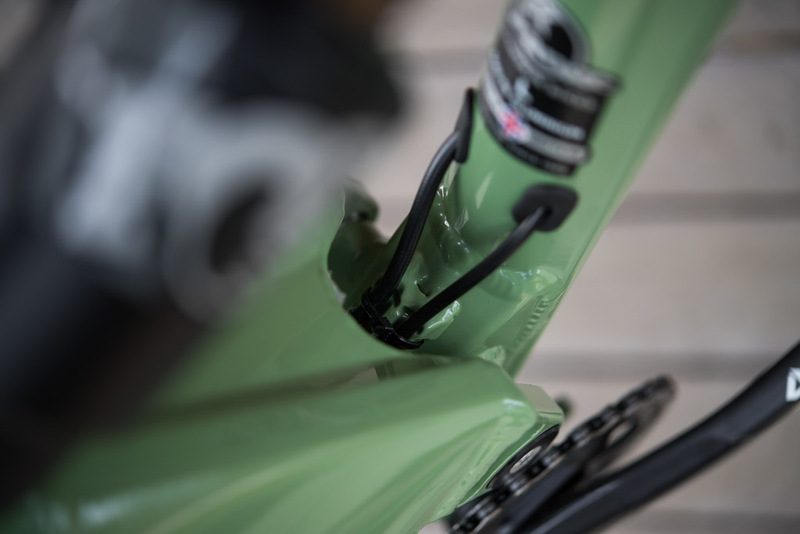 As with the Five The BB height has been lowered 5mm and we’ve increased the chain stay length by 11.3mm this allows you to feel more centred, stable and balanced on the bike. More Pivot Width – The pivot is now wider than it was previously, Improving lateral stability and allowing more tyre clearance for the larger volume tyres people are choosing to run. 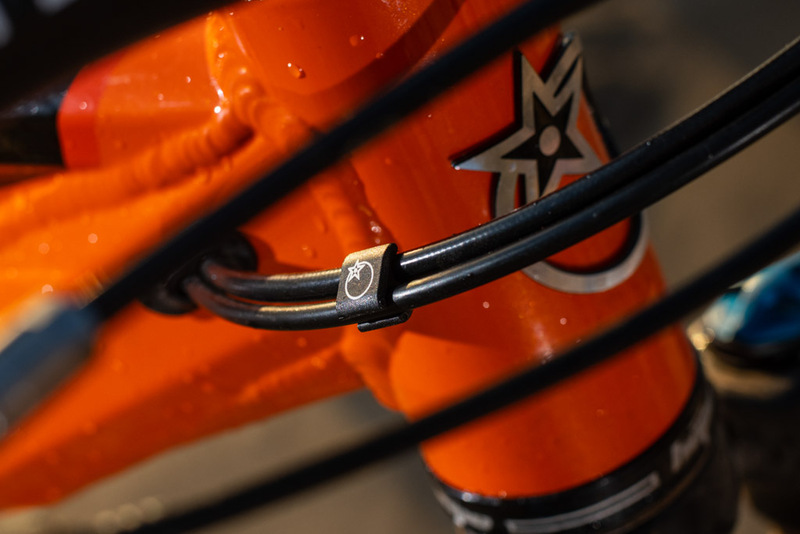 More Accessory Mounts – While it may seem like a small detail, we've been asked about this many times and we added it to some of our team riders prototypes and they loved them. Basically bottle bosses, but you can use them in so many ways these days. 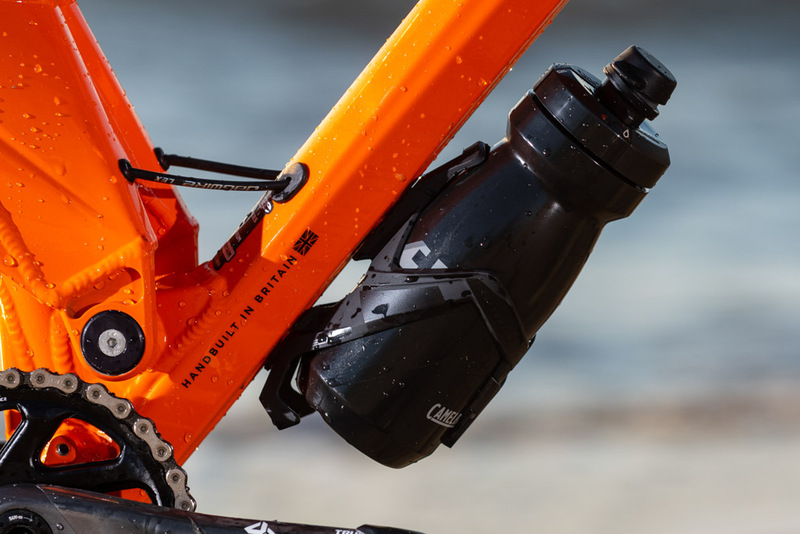 The size large and XL frames now have shorter head tubes creating shorter stack measurements across the size range, stand over has also been improved across all frames. 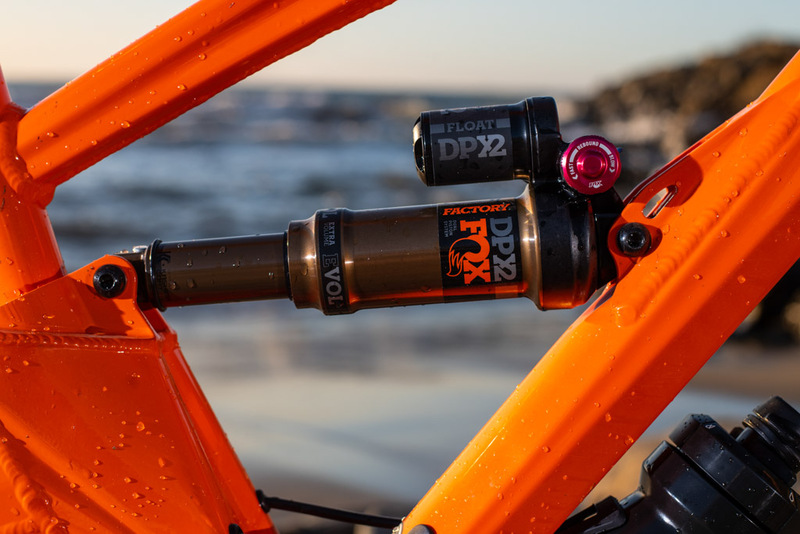 Duel from Orange Mountain Bikes on Vimeo.